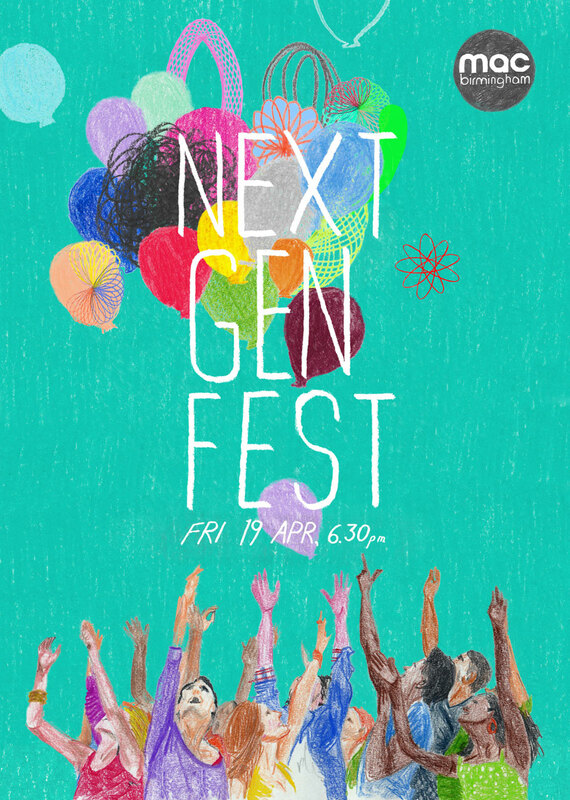 Cannon Hill Collective will be hosting Next Gen Fest on Friday 19th April at mac birmingham from 6.30pm. A free festival of art, music and performance curated by mac birmingham’s next generation of artists the Cannon Hill Collective. This group of young creatives has been working on a unique programme of events at mac, by and for young people. Much Beta is a participatory installation that brings digital image sharing into the physical world. Original artwork from local creatives will be exhibited and become subject to a process of copying and exchange, reminiscent of the re-blogging and sharing of images around the World Wide Web. Get involved… We’re looking for images, to be included in the installation, inspired by the very internet itself – its origins, its current state and its future. All 2D media are welcomed (painting, drawing, collage, photography, stitch etc) but submissions must be no bigger than A4 in size. From Leonardo da Vinci to LOLcats, we’re looking for imaginative interpretations of the brief, but please be aware we will not accept sensitive or harmful content. For more information check IdeasTap. This brief closes on Tuesday 9 April at 5pm and is open to Midlands-based IdeasTap members aged 16 – 24. Not a member of IdeasTap? Sign up: It’s free and anyone can join. Visit: whatsthisstory.tumblr.com and you will find an online story that you yourself can contribute to. Submit your 150 words and it may be the next part of the story. Feel free to also submit your videos, music, art, and illustrations, and the best parts will be exhibited at Next Gen Fest. An ancient Czech folk tale of love and war is reinvented with a blend of spoken word, dance and live music. 5MINUTES is an open mic night like no other, 5 Minutes invites performers from across different disciplines to do something. That’s it. Something. There are only two rules. The first is that we respectfully request performers refrain from doing something they have ever performed on stage before. The second is that the performance must be encapsulated within the performer’s five minutes. One stage. One audience. One chance. What would you do with yours? Get involved… Cannon Hill Collective have a unique opportunity for emerging DJs, music producers and beatmakers to perform at Cannon Hill Collective’s Next Gen Fest on Friday 19th April. Open Decks provide a stage for new and emerging DJs to showcase their musical talents, all artists first submit some of their work for the team to listen to and are carefully selected to ensure a wide range of musical styles are explored throughout the night. Each DJ will receive £50 for their performance (up to 20 minutes). Are you an emerging DJ aged 16-24yrs looking to showcase your musical talent? If you would like the chance to play a set at Next Gen Fest please apply through IdeasTap and send a mixtape or sound/mixcloud link plus a short bio by 9th April. This brief closes on Tuesday 9 April at 5pm and is open to IdeasTap members aged 16 to 24 from the West Midlands.